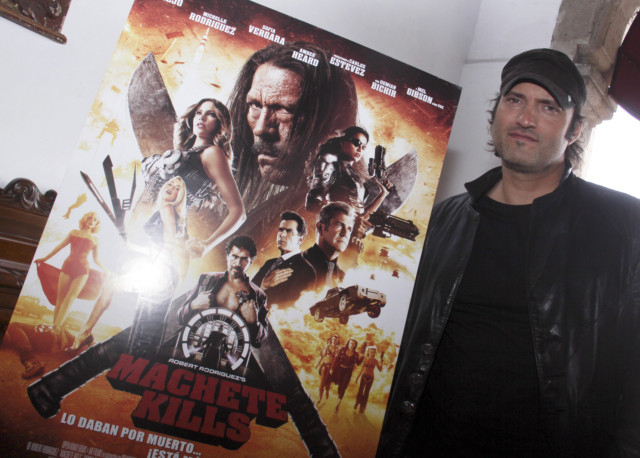 US film-maker Robert Rodriguez, director of the bloody action sequel Machete Kills, readily admits his wild flicks will not win him an Oscar. While his style has been compared to that of his friend and Oscar-decorated collaborator Quentin Tarantino, Rodriguez recalled with a smile that he was never nominated for an Academy Award. 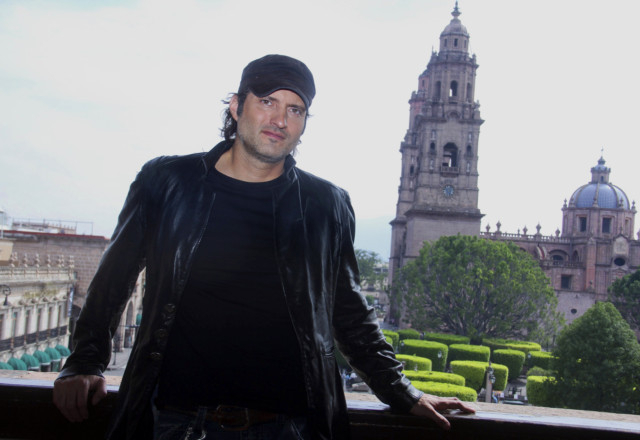 “I’ve achieved so much in my career which is so different from the Hollywood path that they don’t even give awards for that,” he said in an interview on the sidelines of the International Film Festival of Morelia, a city in western Mexico. “Yeah, there’s no chance” of getting an Oscar, said Rodriguez, who left the Directors Guild of America because he disagreed with its rules. Rodriguez defended his brand of cinema, insisting that “movies are supposed to be fun” and that a director who wants to do something out of the ordinary must ignore Hollywood rules and take an “unorthodox” path. His career was launched by his widely acclaimed 1992 low-budget film El Mariachi about a Mexican musician who takes up arms to combat a gang after being mistaken for a criminal. The film won an award at the Sundance Film Festival. This led to a career that includes the vampire thriller From Dusk Till Dawn, the dark action film Sin City and the child-friendly Spy Kids franchise. Machete stars Danny Trejo as a former Mexican ‘federale’ (policeman) who wields blades to hack down countless enemies. In the follow-up, Machete is recruited by the US government to stop an arms dealer from launching a weapon into space. The sequel debuted in fourth place at the North American box office last week with $3.8 million (Dh13.9 million) despite a star-studded cast that includes Mel Gibson, Michelle Rodriguez, Charlie Sheen and Lady Gaga. His films are often a mix of US and Mexican flavours, reflecting his own heritage as a Texan of Mexican descent. “Being a Mexican American, I like being able to use both sides,” Rodriguez said. “I can make a very American film or I can make a very Mexican film, or something in between. I kind of like the in between where it’s a little of both,” he said. Many of the actors in Machete Kills, which was partially filmed in the Mexican Pacific resort of Acapulco, are either from Latin America — like Mexico’s Demiam Bichir or Colombia’s Sofia Vergara — or have Latino heritage, such as Sheen, Rodriguez or Jessica Alba. “Robert is the one who has done more for Latinos in cinema in the last 50 years,” said Trejo, a long-haired former convict of Mexican descent. Other recurring characters is in his movies are voluptuous and dangerous women who sometimes shoot down rivals with brazier guns. “I love having strong women in my movies,” he said.